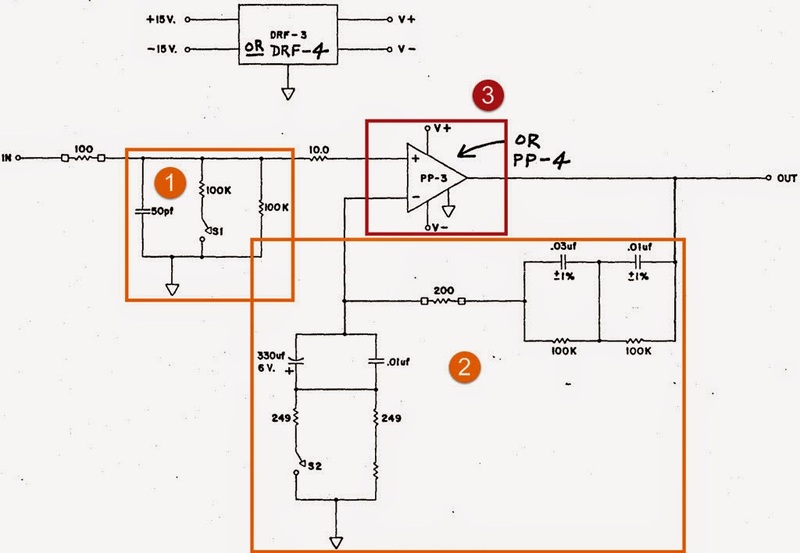 This is not a deep analysis of the circuit, but just enough so you can understand the overall design. the path in green shows the path for phono level inputs (e.g. switch is on either the Phone 1 or Phono 2 position). the path in red in case you've selected a high level input (Aux, Tuner, Tape). 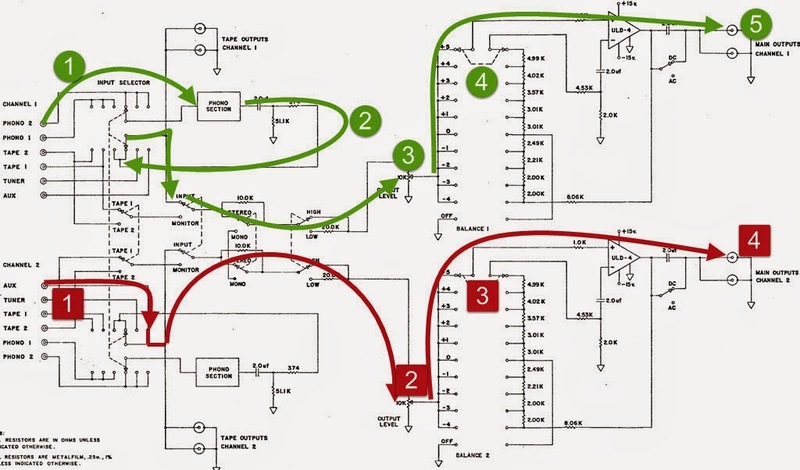 Obviously since the input selector switch works for both channels at the same time this configuration cannot happen, it's shown on the same diagram for simplicity. The path ① in green shows that the signal from the input connector is directly fed to the box labeled Phono section. 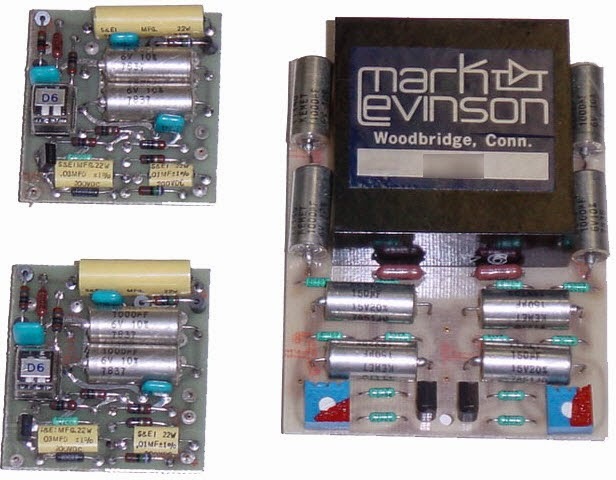 The output of this box is then routed to the same path used for the high level signals. First is goes back through the input selector ② and sent to the volume potentiometer ③. From there it traverses the balance switch ④ to reach the output ⑤ through the ULD preamplifier module. The path in red works in a similar fashion but is more direct since it doesn't go through the phono section, obviously: from the input ① it goes to the volume potentiometer ② traversing the input selector switch (the L shaped red line). Like above it goes through the balance ③ to enter the ULD preamplifier to reach the output ④. Several phono modules are described in the schematics. The passive networks labeled ① and ② can respectively change the input impedance and the gain of the the PP module (at ③). 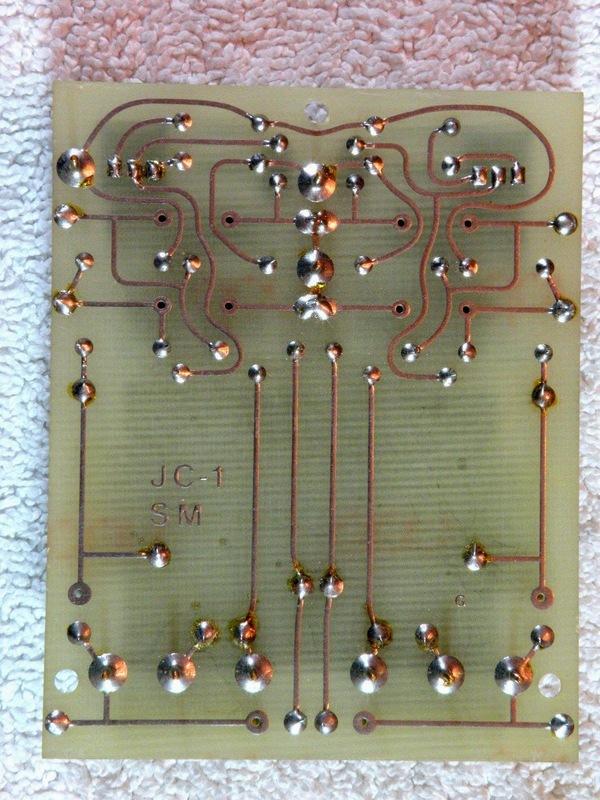 The operational amplifier PP contains a bunch of components, including 17 transistors (JFET's and bipolars). 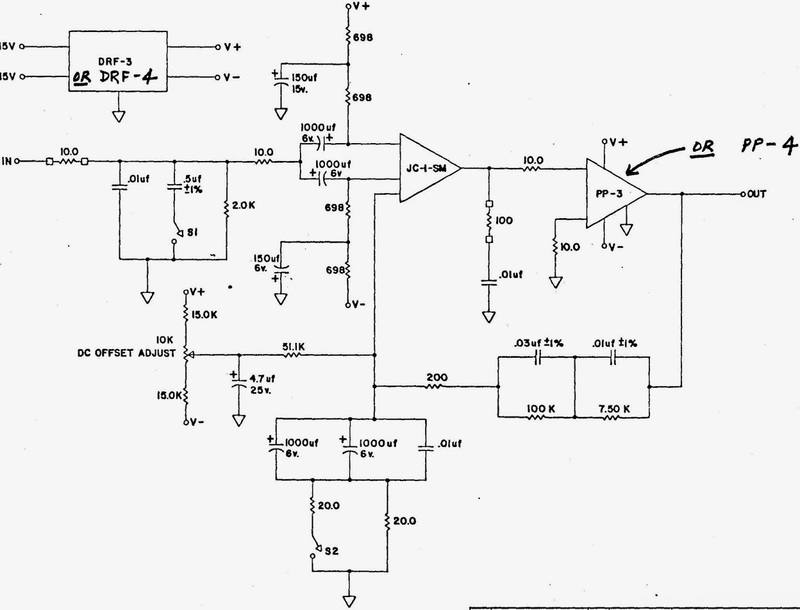 Its circuit diagram can be found in the schematics. The D5 system is a bit more complex: a pre-preamplifier module named JC-1-SM is inserted before the PP op-amp. It allows the gain to be about twice as much as the above design (from 30 to 60dB). 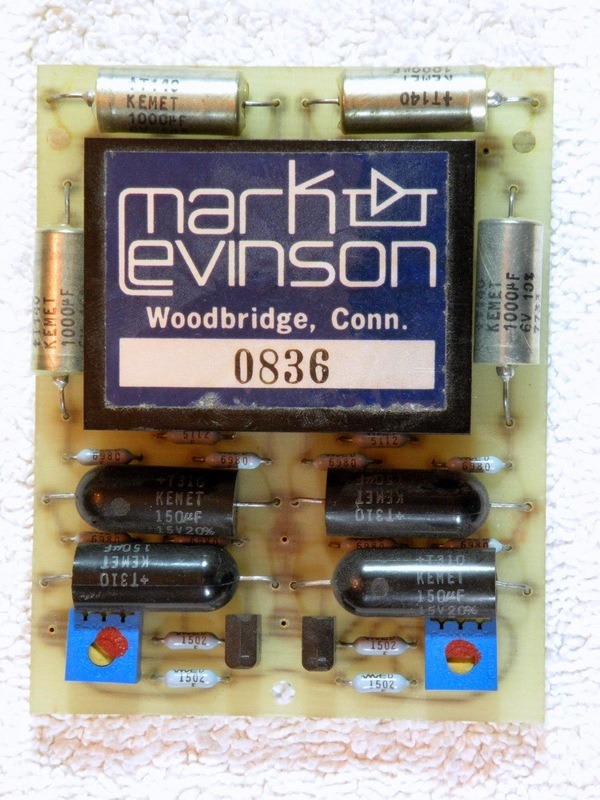 ① is a PP-3 or 4 module. ② is the impedance/gain module, you can see the switches. ③ is the JC-1SM module. 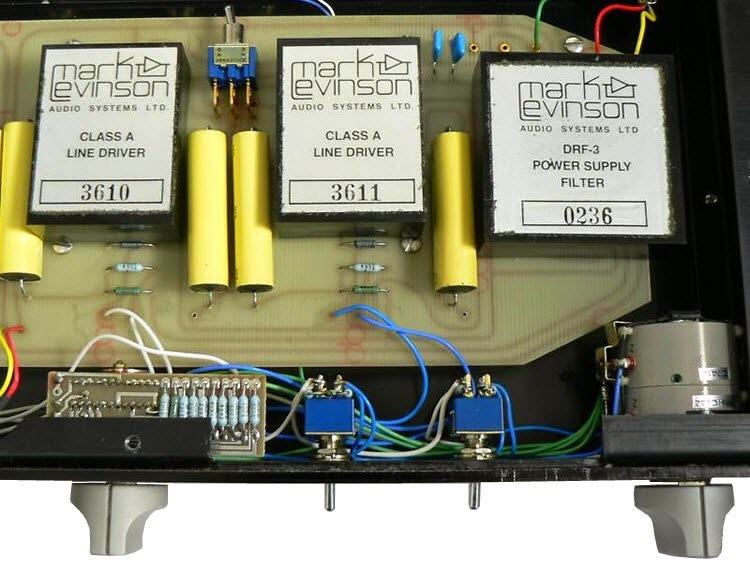 ULD (line drivers) and DRF-3 power supply filter. Very impressive collection of information. I am still running this preamp, but heavily modified by a New Zealand amplifier designer.